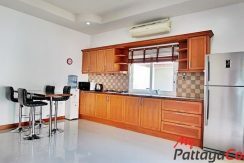 50 Sq.Wah 2 Bedroom Pool Villa in Baan Suay Mai Ngam For Rent – Single story home with a private pool and easy access to Toongklom-Talman 8 in East Pattaya. 12 Month Lease: 30,000THB Per Month. Other Lease Requirements: Smoking Allowed Outside Only. Listing Status: Available From October 31, 2019 on wards. Last Updated: 30 November 2018.